Casino Las Vegas is an online gambling establishment that started its operations in 2004, but is managed by Global Gaming Net, which has been operating in the gambling industry since 1996 and operates several other well known properties, such as Swiss Casino, Casino King and several others. Games at this casino site are powered by PlayTech and can be played with no download required or by downloading the Windows compatible client. The gaming experience offered by Casino Las Vegas is certainly of a high level and they leave an impression of a professional gambling company that really have what it takes to please their customers. I already mentioned it, but here it goes again, CasinoLasVegas.com operates under software of PlayTech and have all their games on the offer – over 200 of them to get a little bit more specific. Users of the Windows OS can choose between playing casino games in an instant flash based environment, while users of Mac only have one option, instant play, available. Users of mobile devices, such as iPhones, iPads, Androids, BlackBerry and any other mobile devices as well as tablets can access CasinoLasVegas.com through the mobile casino client that offers over 25 games of high quality. Overall, I am very pleased with what I saw and experience at this casino brand in terms of compatibility and convenience of their software platform. Though, PlayTech powered casinos have always been great at these two. This is the strength of Casino Las Vegas and what makes them truly great – the variety of gambling games offered that is. Even though they only work with PlayTech, there are more than enough slot machines, variations of blackjack, roulette and other games to play. Lets take a look at the top 5 slot games I would suggest you give a try. The Pink Panther: a unique 30 pay-line slot that is developed and based on the popular pink comic character created by Universal. In all honesty, I’ve never seen or played a slot machine with as many bonus round features, as this one has. I counted six, but the developers state that there are 7 in total. 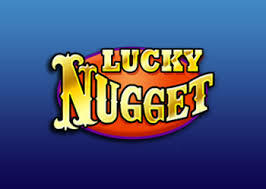 This does not include the free spins feature and a shot at three progressive jackpots that are offered. The Incredible Hulk: PlayTech and Casino Las Vegas are also home to the best Hulk themed online slot the is to be found on the Internet. Fifty pay-lines, Marvel progressive jackpots, free spins feature and Hulk as an expanding wild symbol. I’m not biased on this one – The Incredible Hulk slot from PlayTech is by far the best online. Rocky: catch up with Sylvester Stallone, as he takes up Ivan Drago and Apollo Creed in the boxing ring. The game emphasizes on the most important moments in the life of world’s best fighter ever lived. The slot game is also quite extraordinary in terms of bonus features. Players can trigger a free spins feature, spell R-O-C-K-Y on the reel for a credit bonus award as well as enter a special bonus game where Rocky fights Ivan Drago and you win credits depending on how well he performs! Gladiator: ancient fighters in Rome were known as Gladiators and there actually are several movies as well as stories developed based on them. PlayTech have bought the license needed and developed a progressive jackpot slot, based on ancient Roman times. While the game is nothing special at all, the multi-million progressive jackpot that triggers randomly and is attached to it, is something you don’t see every day! Kong: a 20 line video slot based on the legend of King Kong. The game seems to be using a fairly similar framework to Incredible Hulk, including similar features. There are two game modes, two free spin features and wild re-spin feature, which will award you with a re-spin whenever Kong himself makes an appearance on the reels. If you are not a registered player of Casino Las Vegas, it’s time to change that and claim four 100% match bonuses while doing so. 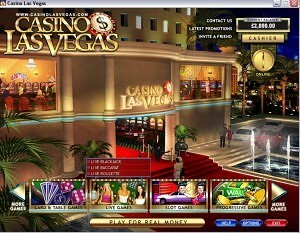 All new players qualify for the current welcome bonus offer at www.casinolasvegas.com on their first four deposits. Unlike you might expect, the welcome bonuses do not differ and aren’t increasing as you deposit for the next consecutive time. Instead, what you’ll get are four $100 bonuses with a 100% match. There are some rules to claim the offer too. First, you need to deposit at least $20 to claim this offer. Second, you’ll have to wager 20 times your deposit plus bonus amount, before it can be withdrawn. As usual, these welcome bonuses will be offered on top of any other promotions and the VIP program in whom you are completely free to participate. It’s worth adding that the VIP program at Casino Las Vegas is VERY comprehensive and if you’re a high volume player, the so called high-roller, you’ll certainly enjoy the perks. Deposits are instant with all payment methods listed above, while withdrawals are processed within 24 hours. If you request them via e-wallet, this is also a good estimation of receipt for these, but that’s not the case with credit & debit cards. The timeframe until you’ll receive withdrawals to these will completely depend on your bank and how efficient are they. Overall, I would rate the customer support at Casino Las Vegas as sufficient enough to solve any problems quickly and without much of a hassle, which is exactly why customer support is needed to begin with! Because it’s one of the best PlayTech powered online casinos offering over 200 casino games ranging between slot machines, blackjack, roulette, scratch cards, live dealer casino games as well as over 20 mobile casino games. Payouts are relatively quick, customer support can be reached 24 hours a day and majority of the best games are also available on mobile. What else could you possibly be looking for?